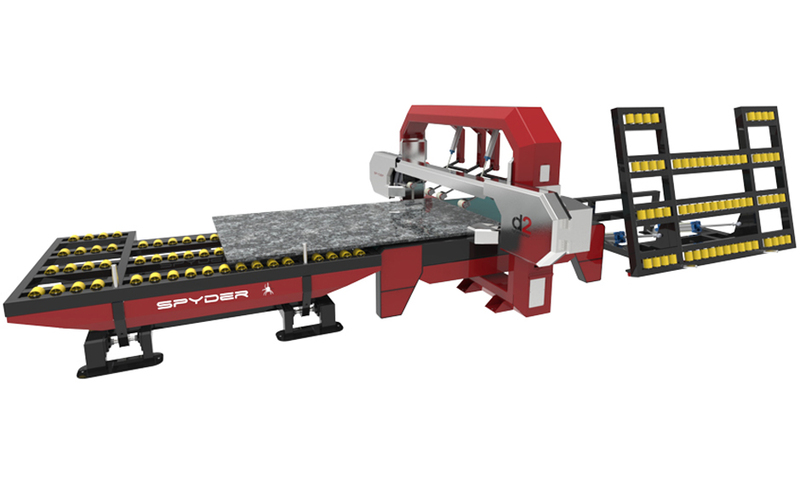 Find out more about Spyder. Diamond wire machine for cutting granite and marble sheets comprises a base structure on which the wire system moves in a horizontal movement of the sheet. 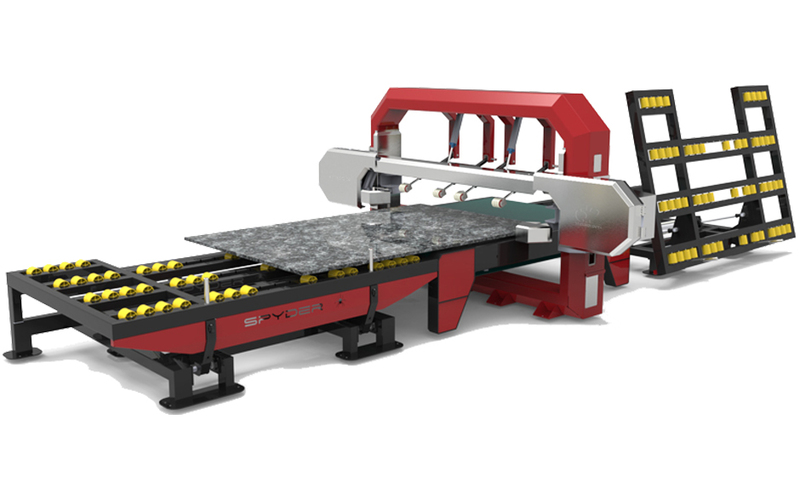 It can cut thicknesses up to 300 mm, producing illuminated marbles and granite panels. 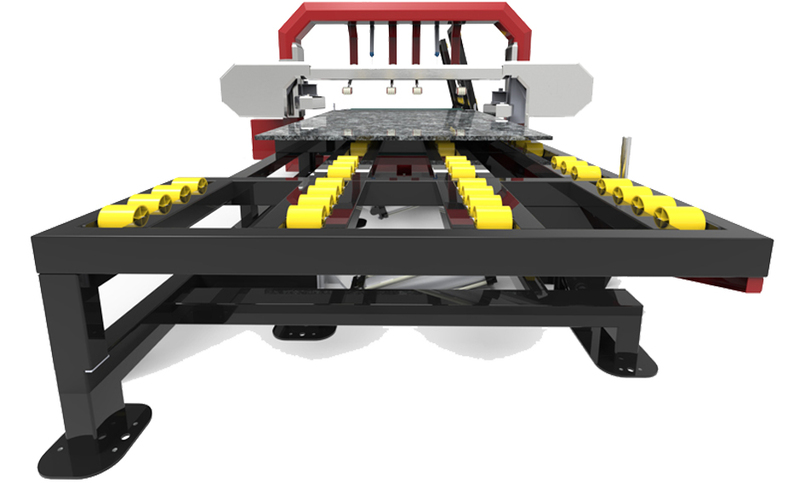 In addition, SPYDER allows the possibility of framing and multiple cuts. And a machine of great quality of manufacture, very easy to work and to handle. Pressers step the stone for a more precise cut.